Today, let’s take a closer look at writing headlines, supporting copy, and microcopy that follows these six rules we have already listed. Lastly, we will look at some real world examples and how they apply in a business setting. I’d also like to highlight a handful of design best-practices guaranteed to give your words an even greater impact. Although headline 1 is informative, the text is lengthy and doesn’t speak to anyone. Headline 2 is less wordy and includes a less passive verb, but still leaves out the customer. Therefore, headline 3 is the best option because it invites customers to participate, introduces the active verb ‘get’ and keyword ‘free’ right away, and adds one more incentive: time. But wait, can we trim even more? Landing page headlines arguably have the greatest impact on bounce rate because customers are likely to skim the headline’s text and stop reading when they find the information they came for (or leave if they can’t find it). Headlines must captivate, impress, and satisfy a customer — all in under a second. No biggie, right? Invision’s Homepage headline is active and inclusive. Handy’s welcome headline reassures customers above all else. 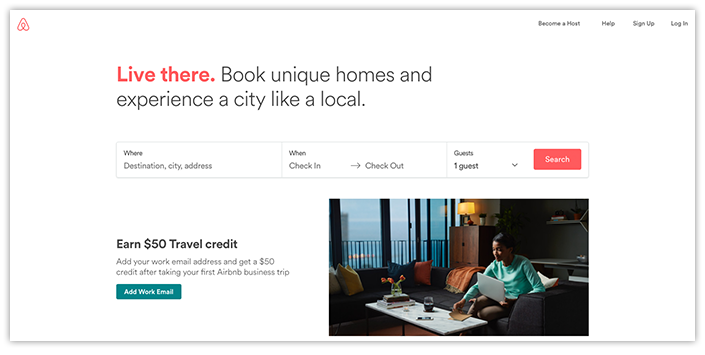 Airbnb engages customers to interact and incentivizes it. While there’s no fail-proof method for writing an engaging headline, Maxwell’s formula is a strong foundation because it’s structured, expresses urgency, and prioritizes the benefit to customers. When you text your friends, you’re likely sending as few words as possible (or not even, because the laughing crying face emoji says everything) and you probably aren’t typing full sentences on where to meet for coffee. Like texts, the supporting copy on your site should express both your personality and the customer’s mood and desires in just enough words to avoid confusion (‘Let’s meet the one on St. Marks w/ the tall (Canadian flag) barista’). Supporting copy too often focuses only on marketing goals like boosting SEO and appeasing stakeholders, which is helpful for robots, but is not for the real people who want your products or services. Effective supporting copy packages the necessary keywords, legalese, and product details into brief, useful, digestible units. – Respect your customers’ time, circumstances, and intelligence. Get to the point quickly with the simplest language possible. Keep in mind that efficient copy makes a big difference to customers who access the site from small screens, use screen readers, or require translation. – Break copy into bulleted or numbered lists, setting reasonable limits on the number of list items. Be willing to cut any text that doesn’t directly serve customers. – Highlight the benefits. Describe what a product’s features will mean to your customer. One more tip: Some of the world’s most recognized brands use a writing principle called the Rule of Threes. That’s because three is the smallest number required to make a pattern, and as humans, we’re wired to memorize them. When we bucket key takeaways into groups of three — and keep them brief — they are more likely to stick with customers. Casper pairs three benefits with icons for extra punch. 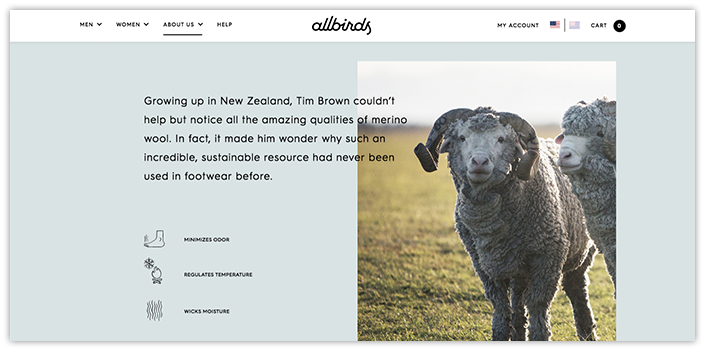 Allbirds backs up a personal story with three related product features. 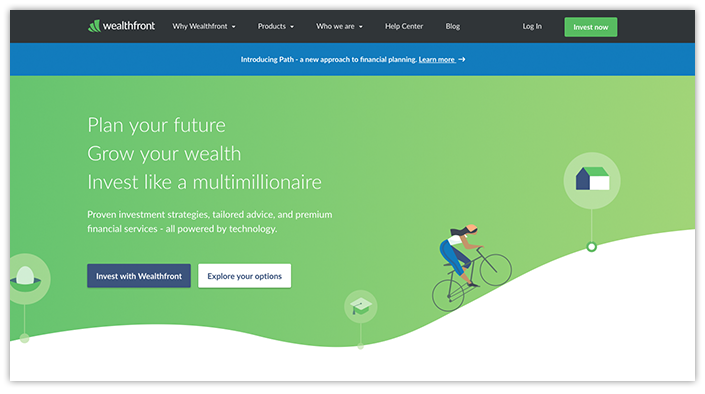 Wealthfront includes not one, but three main headlines on their homepage to reinforce exactly what they do. Imagine rushing to make a connecting flight in an unfamiliar airport. You listen for announcements, look for gate numbers, follow the flow of passengers, and eventually make it to right terminal. But if those cues are communicated in a foreign language you don’t understand, what do you look for? First, don’t panic! You most likely will scan the crowd for customer service agents, look for corridors with signs that feature iconography and subtitles in multiple languages. It’s the smallest details that put you at ease and get you where you need to go. Likewise, microcopy is the unsung hero of website content. However, it goes largely unnoticed, yet these seemingly insignificant snippets of copy do a great service. Accounting for buttons, links, form placeholders, instructions, error and success notifications, tooltips, loading messages, and more, microcopy shows customers where they are within a workflow, drives conversions, and assures them that their private information is secure. To better meet customer expectations, plainly outline your expectations of them. 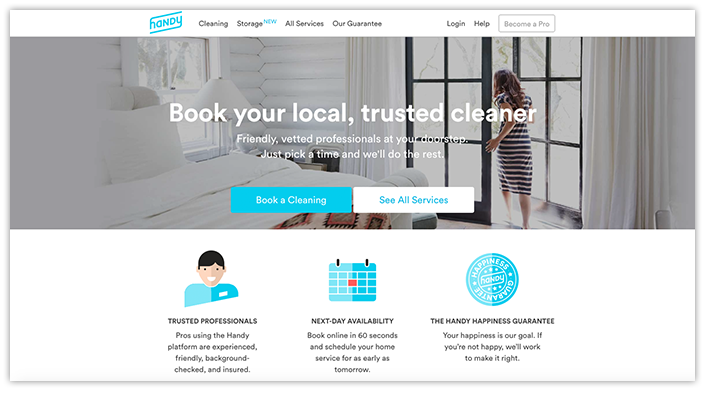 If auditing the microcopy on a site, focus on Calls to Action (CTAs), which are sometimes one-word and too generic (e.g., ‘Submit’, ‘Send, and ‘Go’). Not only do vague buttons and links lack personality, but they can also confuse and frustrate customers. Temper their concerns by specifying what will happen when they click (e.g., ‘Complete Your Registration’, ‘Send Your Comment’, ‘Get the Newsletter’). 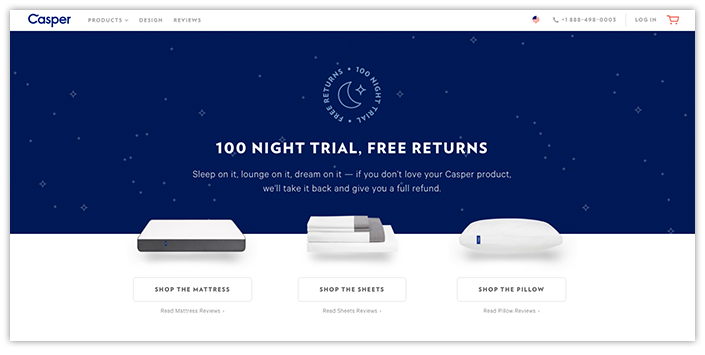 Casper’s buttons specify the product page they lead to. (Also notice the ‘magic’ number of buttons). 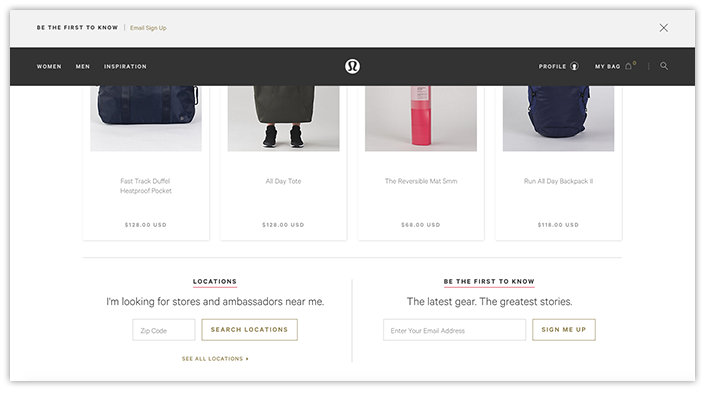 Lululemon’s promotional banner and footer forms feel personal, using microcopy to relate to the customer. 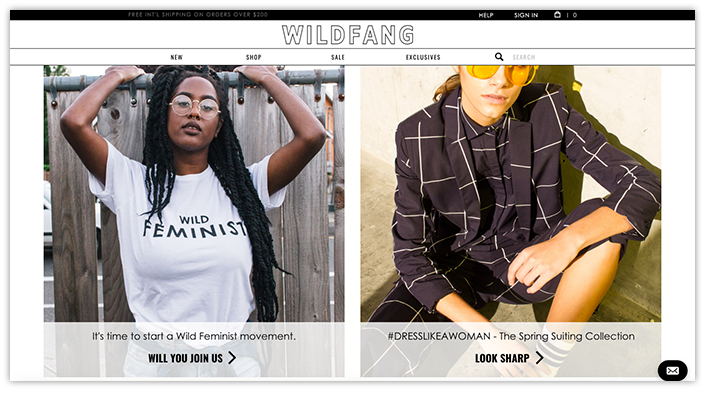 Wildfang’s Calls to Action matches the young, spirited brand voice. 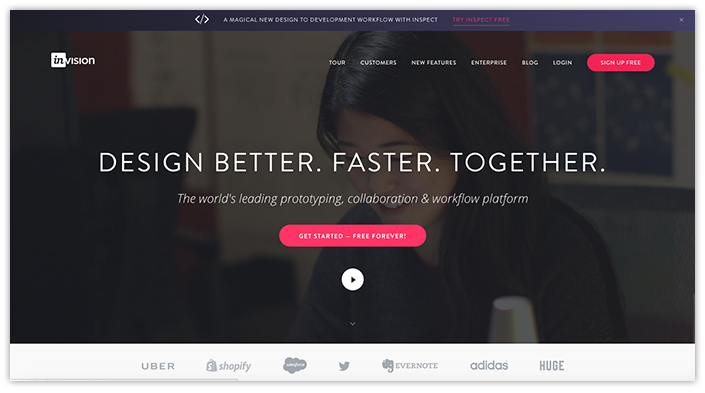 Avoid waiting until the design phase to start collaborating and compiling sample copy. In fact, it’s impossible to gauge how a site will authentically look and feel, or how much content the client will need to add or trim, if populated by dummy copy. Build a content library in advance containing copy that is representative of the brand voice. 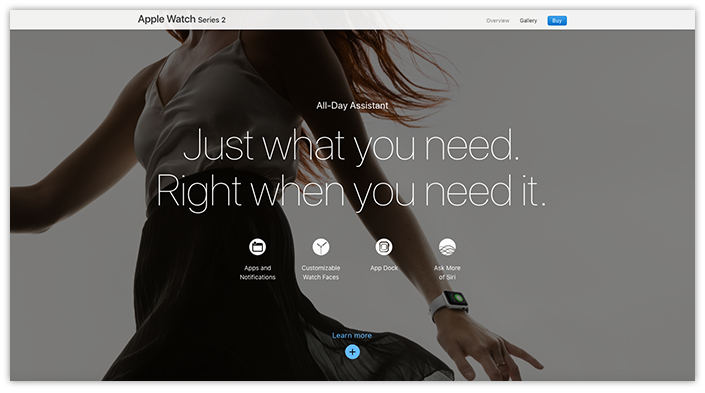 Apple prioritizes headlines, distinguishes supporting features in a digestible way, and highlights CTAs using a single color. 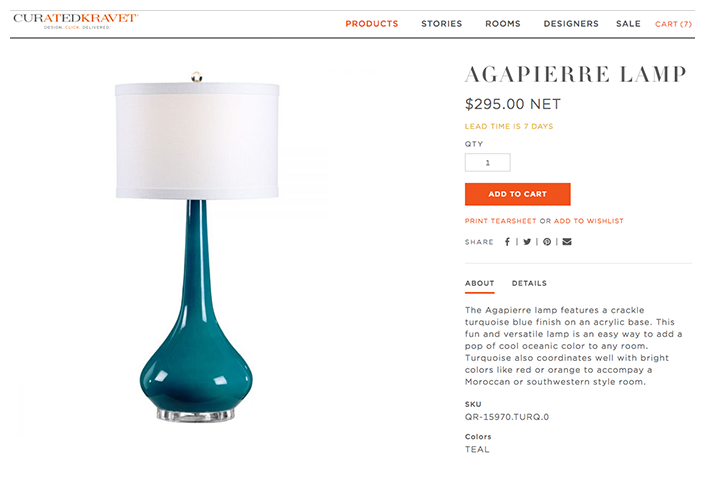 Curated Kravet’s Product Detail page buy form has a strong type and color hierarchy and is aligned for fastest completion. 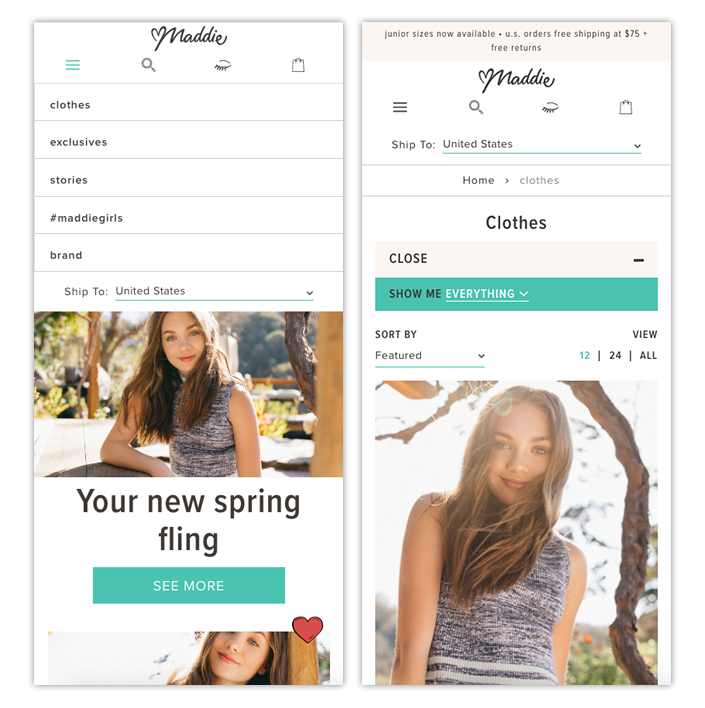 Maddie, like all SD ecommerce sites, was designed mobile first. At this point, we’ve given you a comprehensive checklist of copywriting tips, we need to re-emphasize that ‘Customers Come First’ is the most important rule of all. Scribble it on a note and stick it to your monitor, write it in magnetic poetry on the office fridge, get it tattooed like a cheat sheet on the palm of your hand (ok, maybe don’t do that one). How can you ensure that your copy not only appeals to your customers, but also keeps up with your customers’ needs? Always A/B test. Using tools like Optimizely, you can compare variations of headlines, body copy, and microcopy being served to customers against a conversion metric to get real-time, data-driven feedback. As a result, you will Display the ‘winning’ variations — the copy that gains the most traction — and continue to refine it over time as your customer base grows and/or changes. A/B testing your copy helps customers help you. 1. Keep it real. You succeed if your customers succeed. 2. Keep it short and sweet. Say what you mean, in your voice, in the simplest language possible. 3. Keep it fresh. Prioritize copywriting from the start, test it, and refresh it over time. Copywriting strategy starts and ends with your customers. So, if you follow our tips and write smart, both you and your customers win big.